Shree Panchakanya Higher Secondary School needs charity for its rebuilding. The school was damaged by the devastating earthquake in April 2015. The old building has been demolished. At this point, the new building is 44% constructed. The 285 students, teachers and staff are using shared classroom with another school building. 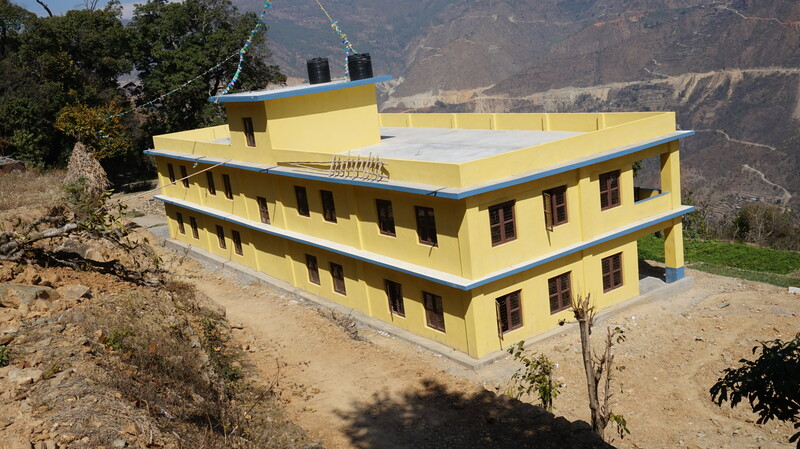 The Shree Panchakanya School is the oldest school in Thulo Parsel-05, Kavrepalanchok, Timal, Kavre, and was established 60 years ago (in 1957 AD). It lies 72 km from the capital city, but it seems very far away as it is linked by a rough road. The school’s students suffer from the lack of safe drinking water too. The school provides education to the children of the local castes of Tamang (in majority), Magar, Dalits, Brahmans, and Chhetris. The school holds classes from grades 1 to 12. In Nepal, the government has very limited direct funds for government schools. Most communities are not nearly serviced adequately. So communities attempt to make their own schools and provide as quality an education for their children as they can. The school not only needs donations for rebuilding, but requests continually the help of volunteer teachers from abroad. Especially needed are English Language teachers.